There’s a 2002 headline from The Onion that satirises the recurrent role of archaeologists in pop culture: “Archaeologist Tired of Unearthing Unspeakable Evils”. In the article, the “unspeakable evils” have taken the shape of giant rats, ophidian women, Mayan coyote spectres and walrus bone women. Aside from the exoticism of the manifestations, any pop culture aficionado will recognise the pattern: in handling a mythical, long-hidden object, or in disturbing the dream of the dead, the fictional archaeologist inadvertently summons an otherwordly force seeking revenge. Why has this portrayal become a trope, why does it resonate with the audience? Although the consequences of these interactions are almost invariably negative, their essence is, to me, a great depiction of Mythoarchaeology. 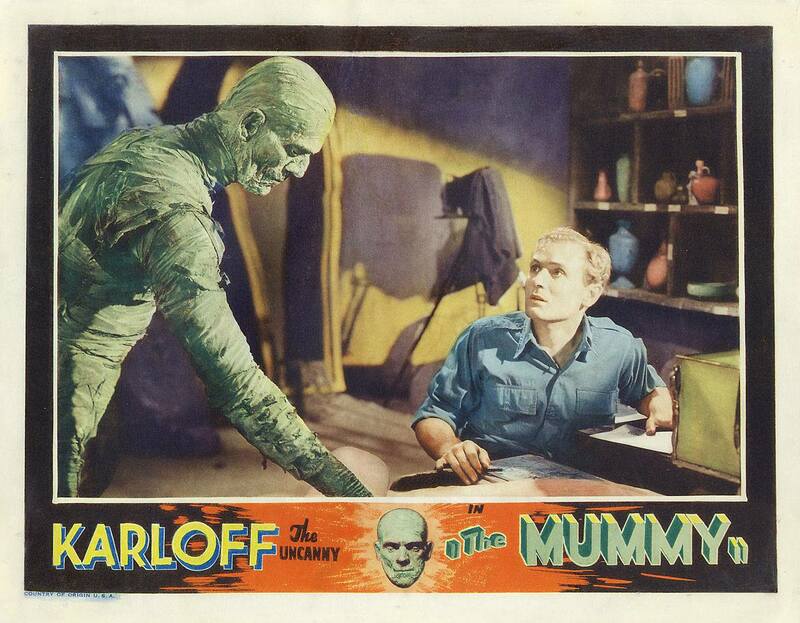 The Mummy (1932) film poster. My fascination with archaeology started with the myths my father told me when I was a child, and my favourite was that of the Minotaur. When I learned that Crete, the home of Asterion, appeared on the maps, something clicked: this was different to other tales I’d heard, this was somewhat more real. When I looked at my father’s books and saw ancient artifacts depicting Theseus fighting the bull, I was mesmerised. These ancient objects had a magical quality: they came from a time that was closer to the mythical world I’d imagined. Many years later, when I first visited Crete, the ruins of Knossos became a portal between this world and what had inhabited my imagination for decades, and the experience was almost numinous. 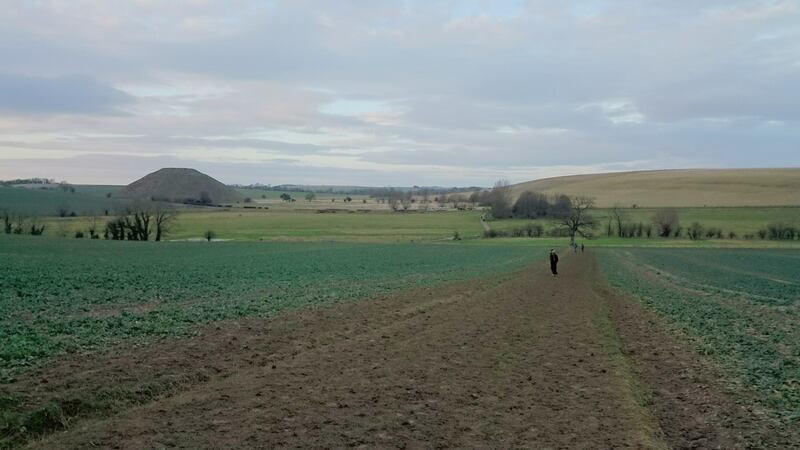 There are many ways in which we might react to a place, or an artifact, in an emotional level, as Rob Irving and I discussed during our Avebury walk. Sometimes it’s an object that casts a spell: the Egyptomania that followed the discovery of the tomb of Tutankhamun was perhaps a consequence of the extraordinary state of preservation of the objects found, and the fact that they had remained untouched for centuries. 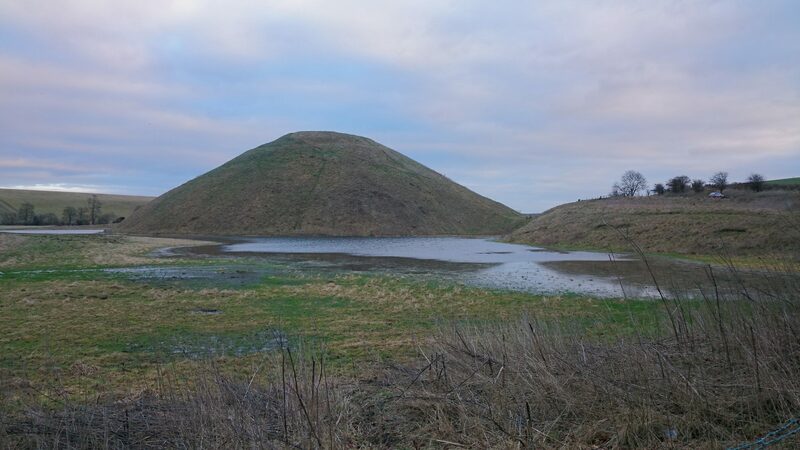 Sometimes the process starts with a myth or a story that speaks to us and culminates with a pilgrimage to the place linked to it. The place of destination may have been considered sacred for centuries, or perhaps is only sacred in our imagination. The journey to a sacred destination is a spiritual experience, and the supposed existence of an invisible line connecting these places is a manifestation of this idea. In pilgrimage, we’re told, the journey is more important than the destination, a way of self-discovery. By taking an ancient path, we re-enact what our ancestors did: the journey itself is the portal to the past. When we arrive, we perform our ritual: we touch the stones, we sit on the ruins, as if they were able to reveal their secrets to us. Jeannette Winterson says that the past is another country; I’ve always thought of it as an Otherworld. There’s something haunting in ruins, not necessarily milleniae-old ones like Knossos or Avebury, but also more recent ones. They’re remains of something that isn’t quite there, but that can be summoned by our imagination. Objects and ruins become tokens, thin places or portals to an Otherworld. Remains of the past are the closest we’ll ever be to it. When the pop culture archaeologist finds one of these thin places or manipulates one of these tokens, the Otherworld gets loose. Evil energies make great adversaries in fiction, but there’s another reason for which these stories may resonate with audiences: what comes from this Otherworld has already crossed a threshold. Despite our curiosity, we’re inherently scared of what may come back, of the thing that knocks on the door in The Monkey’s Paw, of whatever is summoned by an old bone whistle. The souls that return know the secret that has haunted our imagination since the origins of civilisation: what lies beyond the threshold of death. In pop culture, the figure of the archaeologist, then, is that of an unwilling shaman, a mediator between this world and the other, and a shaman’s role has always been essential to the tribe.